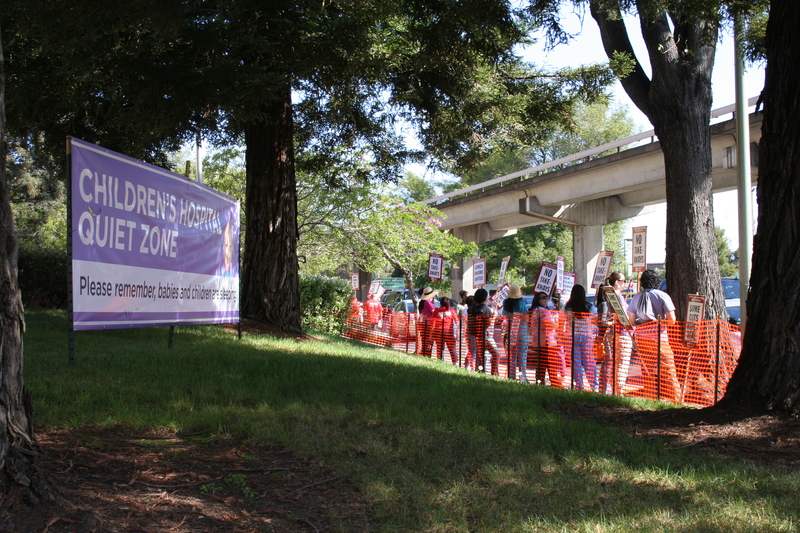 Some images from a 5-day strike at the Children’s Hospital just a few blocks from where Ryan, Mai and I live. The contracts that the bosses are trying to push would include so many “takeaways” (cuts to previously held benefits) that nurses who work in the hospital would no longer be able to afford to bring their own children there for treatment. Ryan and I chatted up a lot of the workers for a while, and thanked them for setting an inspiring example by actually going out on strike and fighting back. Lots of positive energy, aided, I think by the freshness of the action (it was the first of the 5 days) and a steady stream of honks of encouragement from folks driving down Martin Luther King Jr Way. The workers I spoke with seemed to be dealing with interesting questions around class ideology. 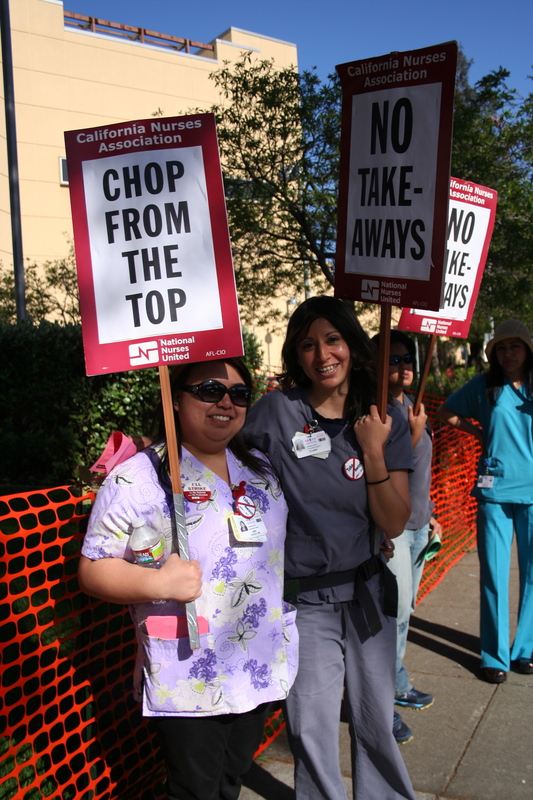 One leader mentioned that many commenters in the online SF Chronicle forums opposed the strike, accusing the nurses of being ungrateful for what they have and undeserving of more than management is offering. 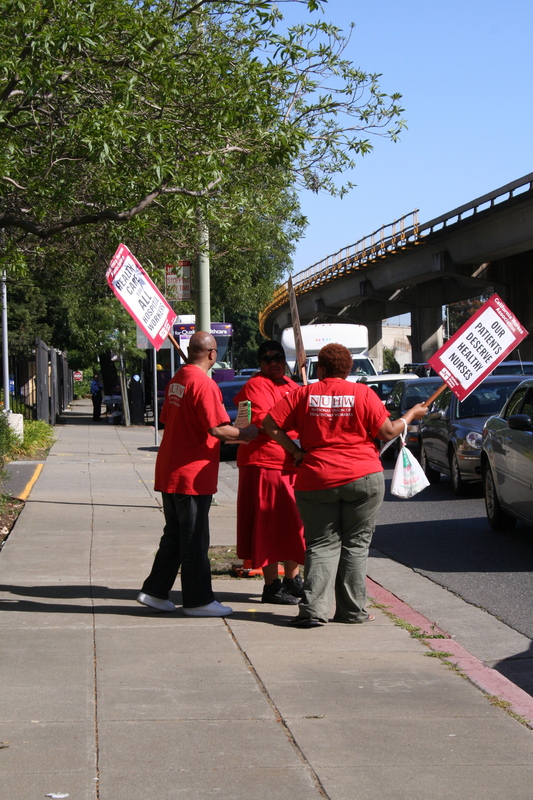 But here on the ground, right off of MLK Way, in a working-class neighborhood, support for the nurses’ fight was loud and vigorous. 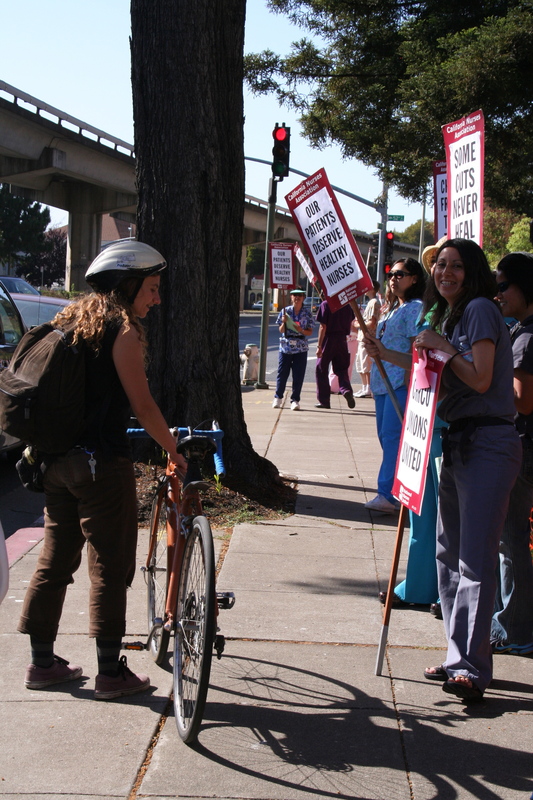 While acknowledging that on balance, they themselves are highly paid care workers (not nearly as precarious and vulnerable as, say, the insightful author of Disparaged CNA), these nurses nevertheless felt moved to fight back against incursions. In last week’s East Bay Sol meeting, we made some decisions about how to support fights that we don’t take on ourselves, i.e. this one. In branching out to include solidarity actions with various other groups, we risk diluting our power and spreading ourselves too thin as an activist-y emergency response squad. We also stand to gain, however, from learning from the self-activity of the working class and resistance by oppressed peoples, especially if we can continue to cohere around our own shared political understandings, which affect the type of support we would be excited to provide. I’ll probably be talking more about that (also in the works: some solidarity actions with the defense of the Glen Cove / Sogorea Te sacred burial site, threatened by parks development in Vallejo), sometime soon. 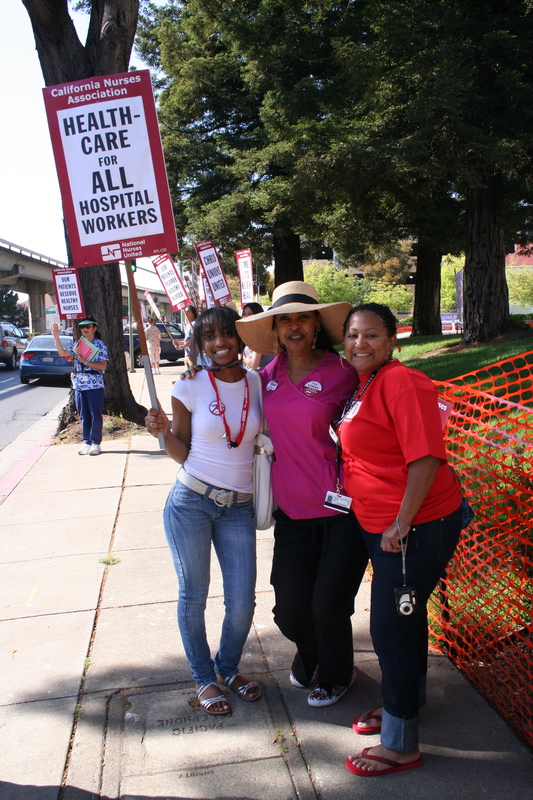 For now, three cheers for these nurses! INSPIRING!!! i wanna go on strike too!!! !